Nigeria is offering a 50 million naira ($300,000) reward to anyone who can help locate and rescue more than 200 abducted schoolgirls. The schoolgirls were kidnapped more than three weeks ago by Islamist Boko Haram militants from their boarding school in the north-eastern state of Borno. Boko Haram’s leader admitted earlier this week that his fighters had abducted the girls in the middle of the night from their school in the town of Chibok on April 14. Abubakar Shekau threatened to “sell” the students, saying they should not have been in school in the first place, but rather should get married. The group, whose name means “Western education is forbidden” in the local Hausa language, began its insurgency in 2009. More than 1,500 have been killed in the violence and subsequent security crackdown this year alone. A statement from the police said the 50 million naira reward would be given to anyone who “volunteers credible information that will lead to the location and rescue of the female students”. Six phone numbers are provided, calling on the general public to be “part of the solution to the present security challenge”. “The police high command also reassures all citizens that any information given would be treated anonymously and with utmost confidentiality,” the statement said. 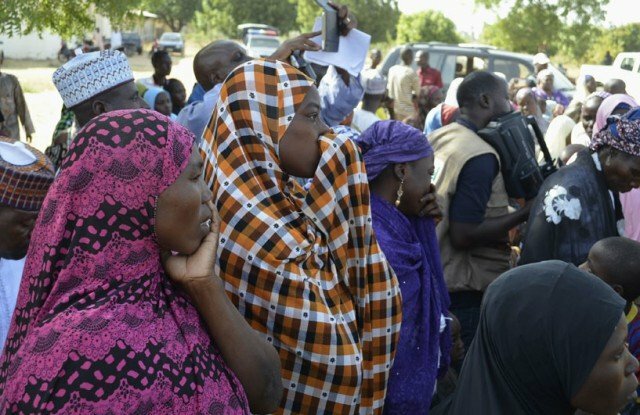 The governments of Chad and Cameroon have denied suggestions that the abducted girls may have already been smuggled over Nigeria’s porous borders into their territory.